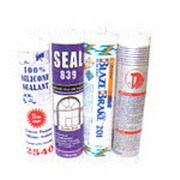 All types of Adhesives, glue and industrial grade sealants are used widely by Thai industry in a variety of applications. From sticking together the component parts of low price soft toy teddy bears to the assembly of multi million dollar satellites. The world would truly become unstuck without the application of adhesive products. These products are also available for export. Adhesive products by the container load are shipped daily from Thailand ports destined for industrial, office and home use throughout the world. 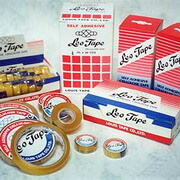 Famous brand name adhesives and adhesive tapes like Bostik and Sellotape are produced by Thailand adhesive manufacturers. You can purchase thir products or have your own brand OEM by first class Thai adhesive factories. Bangkok Companies is a full service product sourcing company in Thailand. For All your adhesives needs please email bangkokcompanies@gmail.com with your requests. Bangkok Advance Trading Co., Ltd. Thailand Thailand Trading Company supplying: PVC tape, Electrical Insulated Tape, Packing Tape, Industrial Glue and Adhesives.